Jo-Jo Dyas doesn’t believe he has any reason to live, but then he finds the naked black-and-white dead girl in the culvert and she convinces him otherwise. 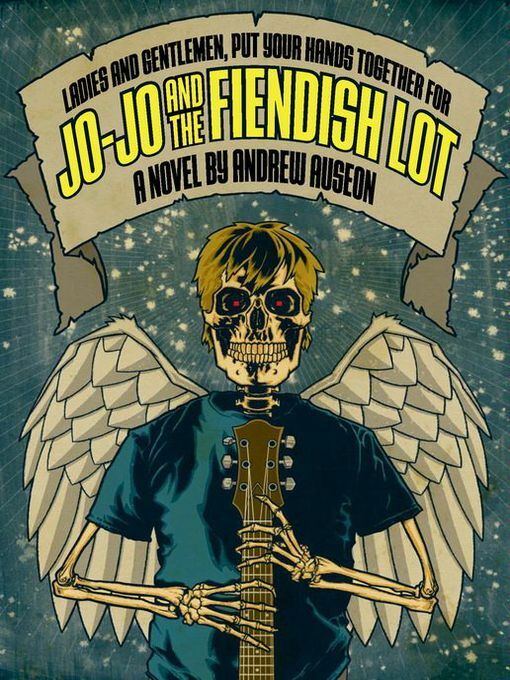 She is the drummer for a punk rock band called the Fiendish Lot, and for a dead girl, she has more life and spark than anyone Jo-Jo’s ever met. She and her band come from the Afterlife, a strange, colorless world where souls sometimes pause on the journey between life and death. Jo-Jo follows her into the depths of the Afterlife, where gets a twice-in-a-lifetime opportunity to make right all the things that have gone wrong in his life.